This antique vase, painted by celebrated decorator of Sevres style porcelain, J. Pascault, is notable for both its majestic size and exceptional detailing. 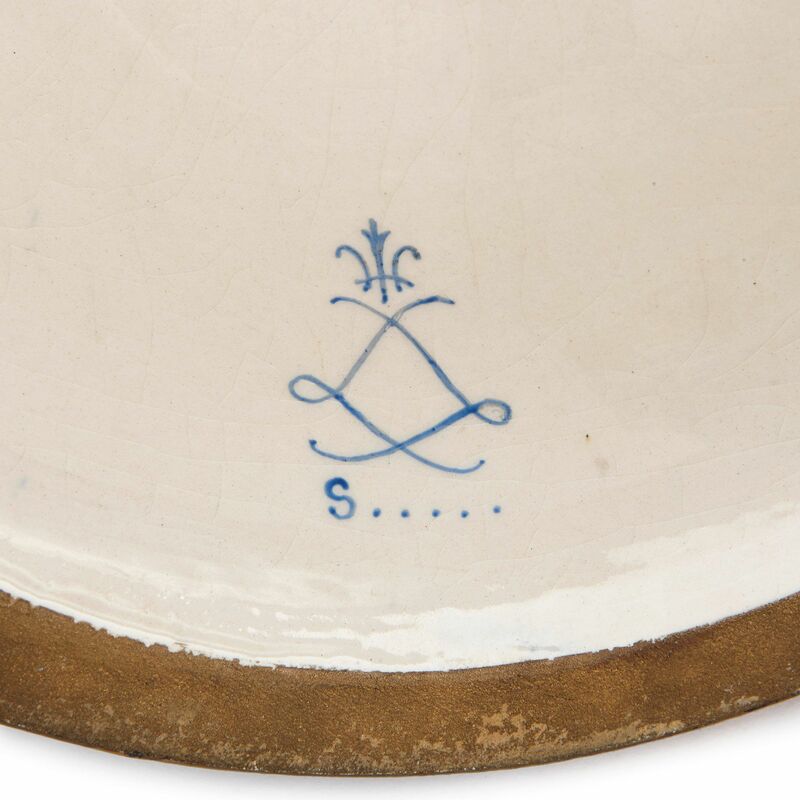 J. Pascault was a celebrated French decorator of porcelain who put his name to some of the very finest works in the Sevres style in the late 19th Century. 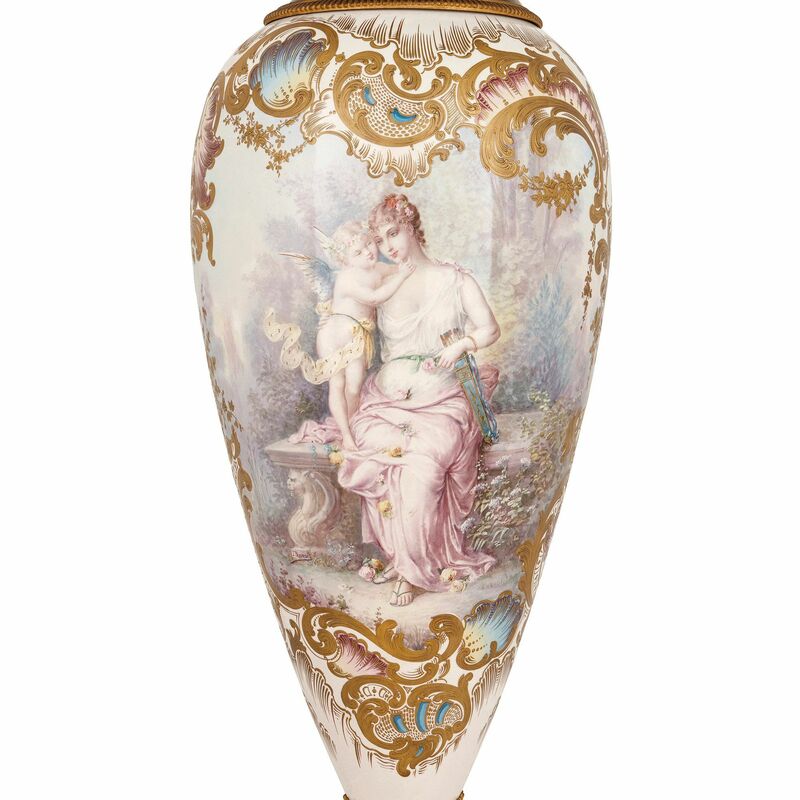 On this fantastically large vase, he has painted the ovoid body with a delicate and charming scene of a lady who embraces a winged child in a romantic, garden setting. 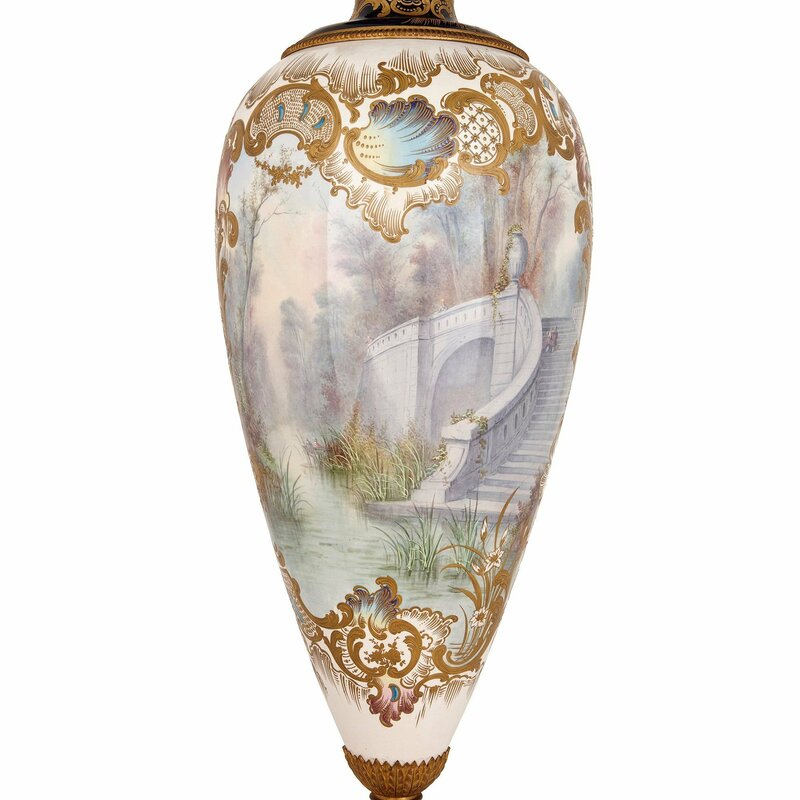 The reverse of the vase is painted with a pastel-toned scene of a sweeping staircase descending from a bridge into a lake with reeds. Paying homage to the elegant, whimsical Rococo style, the painted scenes are surrounded by parcel gilt borders of scrolls, shells and acanthus leaves on a white ground. 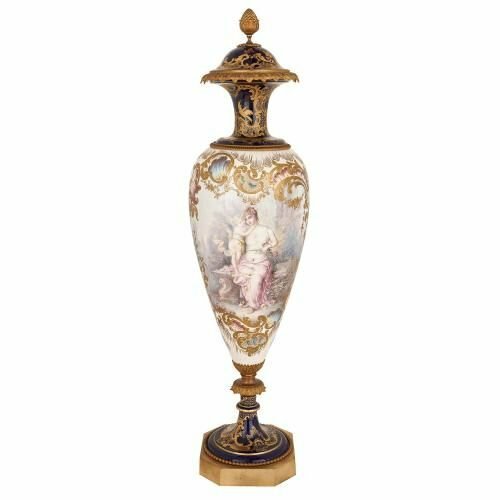 The vase features a socle base and waisted, flared neck and cover which are elegantly decorated with further gilt scrolls, shells and acanthus leaves on a royal blue ground. 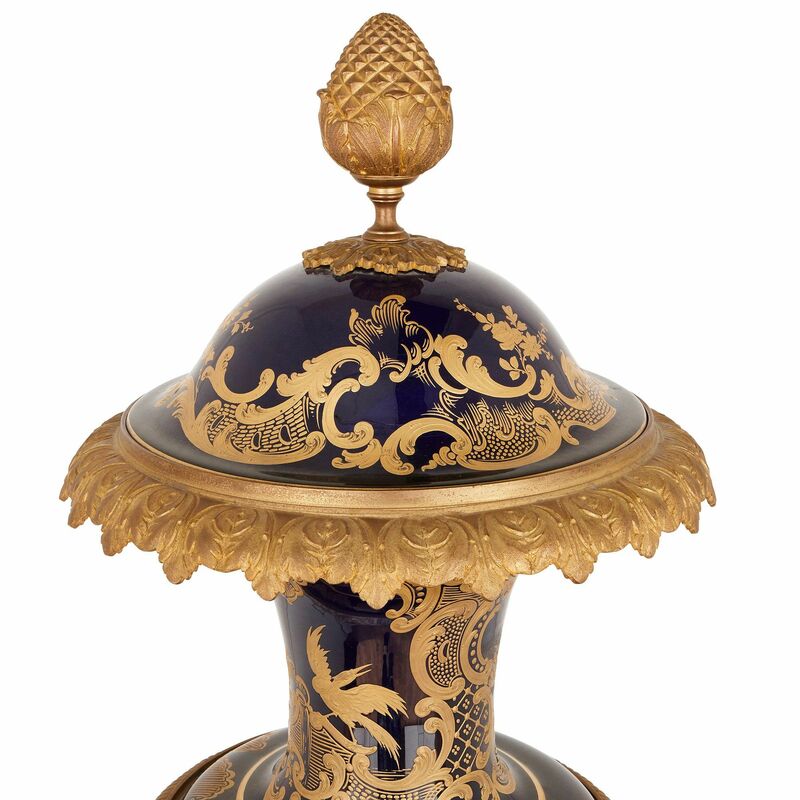 The cover of the vase is surmounted by an ormolu pine cone finial, and the neck and base feature further mounted ormolu banding and beading. 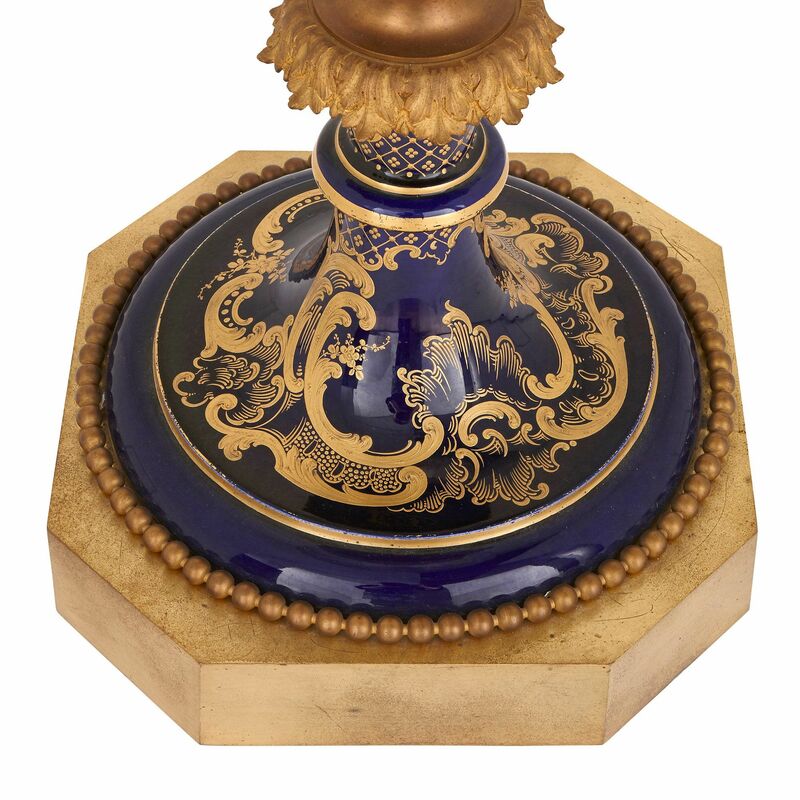 The vase is set upon an octagonal ormolu plinth. 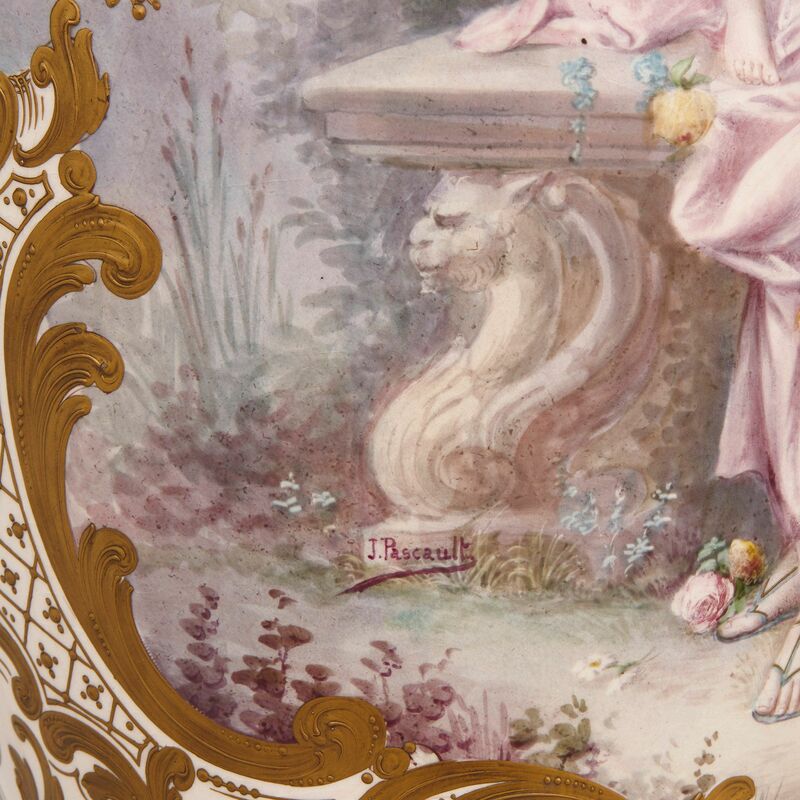 The painted sections of the vase are signed 'J. Pascault'.